3 months after setting up shop at Rochor Centre, Rochor Thai – by former keyboardist, Joel Ong – uprooted eastwards and re-opened under the same name in August 2013. 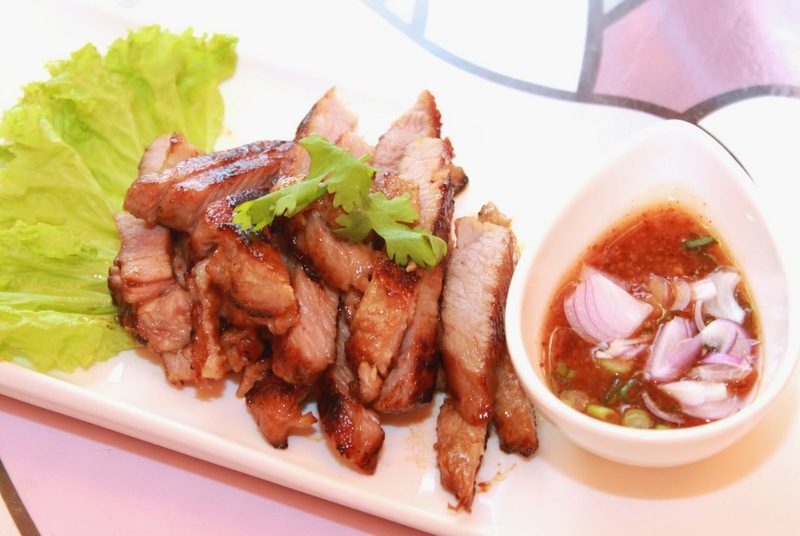 Housed in a roomy shop house space in the nightlife-rife Joo Chiat Road, Rochor Thai is garbed in a no-frills setting, much like most of the eateries along the stretch. But while Rochor Thai’s interior is modest, the Thai cuisine on offer is as heady as it gets. Imported chef, Padungpong Chuthongchai (or chef Aod), cut his teeth at hotels including Dusit Thani and Amari Orchard Pattaya before landing a job in our city-state. 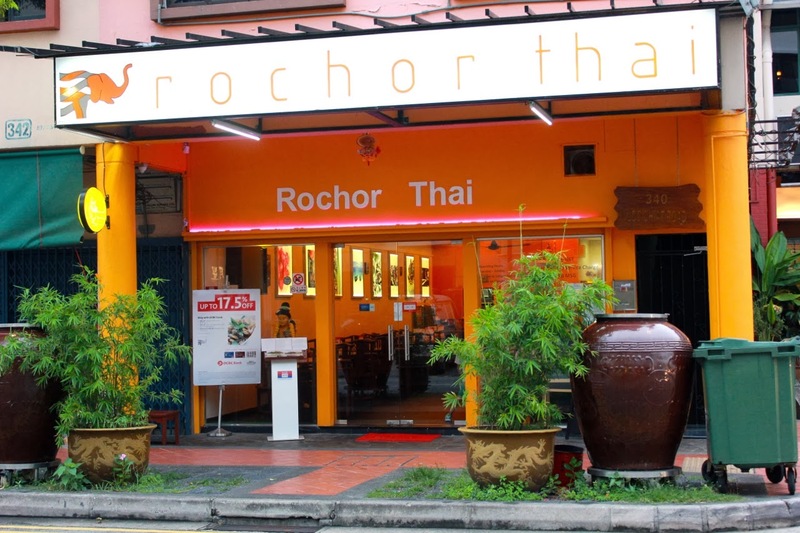 At Rochor Thai, Aod doles out MSG-free central Thai fare that incorporates the saccharin-sweetness of Northern Thai food and the deep fiery notes of Southern-Thai. 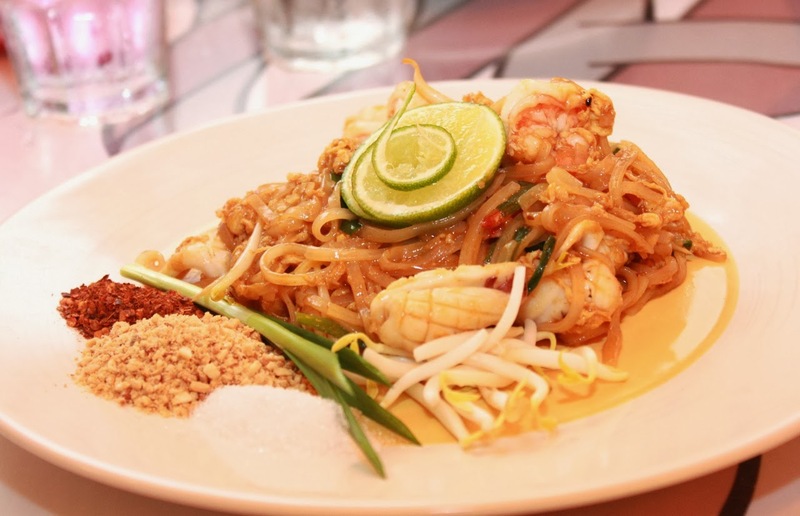 Thanks to the generous use of Thai herbs and palm sugar, you’ll hardly miss the MSG. 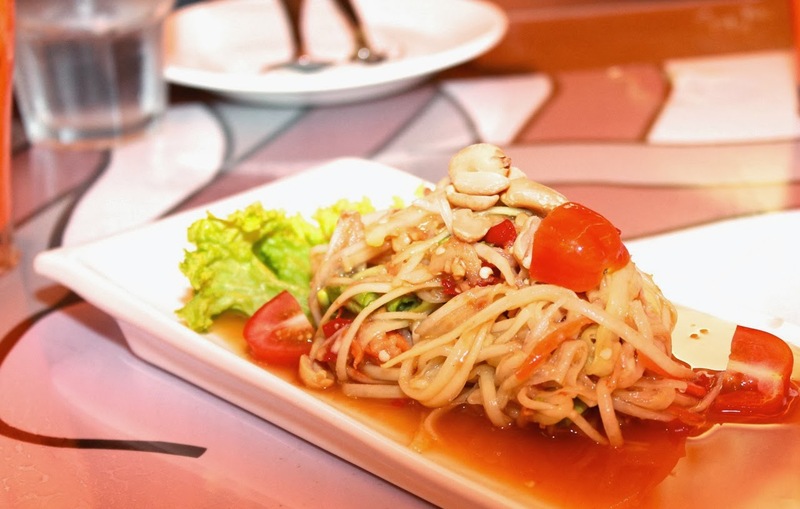 Formulaic Thai – like som tum (green papaya salad) and po taek (clear tom yum seafood soup) – aside, Aod fields some remarkable dishes that will not look out of place in an upscale Thai. Thankfully, these dishes taste as good as they look. Pork collar (kor moo yang, S$12.80) is grilled then sliced and served with a salty-spicy jaew prik pon (Thai chilli dipping sauce infused with coriander) while tender beef shank (gaeng neua chu chee, S$18.80) is slow braised in a palm sugar-rich red curry paste infused with chopped lemongrass, turmeric, galangal and shrimp paste. But the piece de resistance is the dry red curry with red snapper fillet (gaeng phet pla krapong daeng, S$16.80 for small and S$24.80 for large). 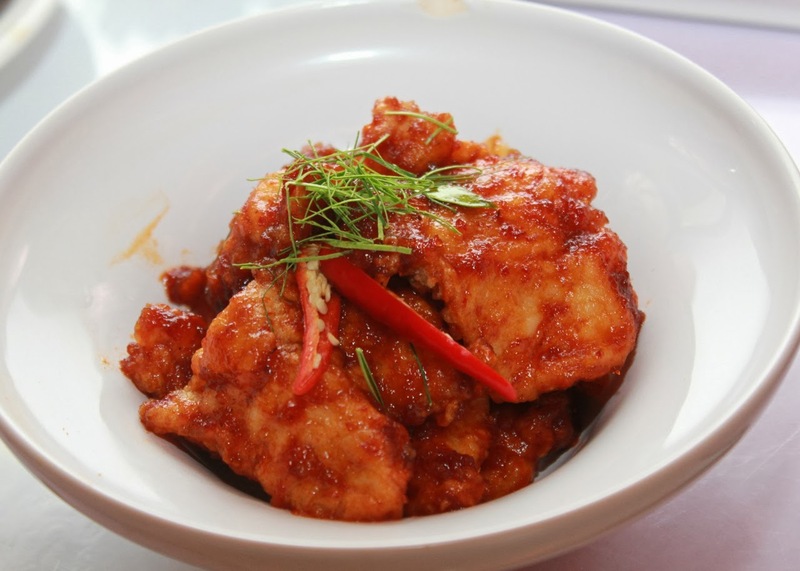 The fish is cut into small tender chunks, sautéed in a pan and doused in a dry red curry chilli paste with fish sauce and hints of palm sugar. Sweet it is but delicious nonetheless. 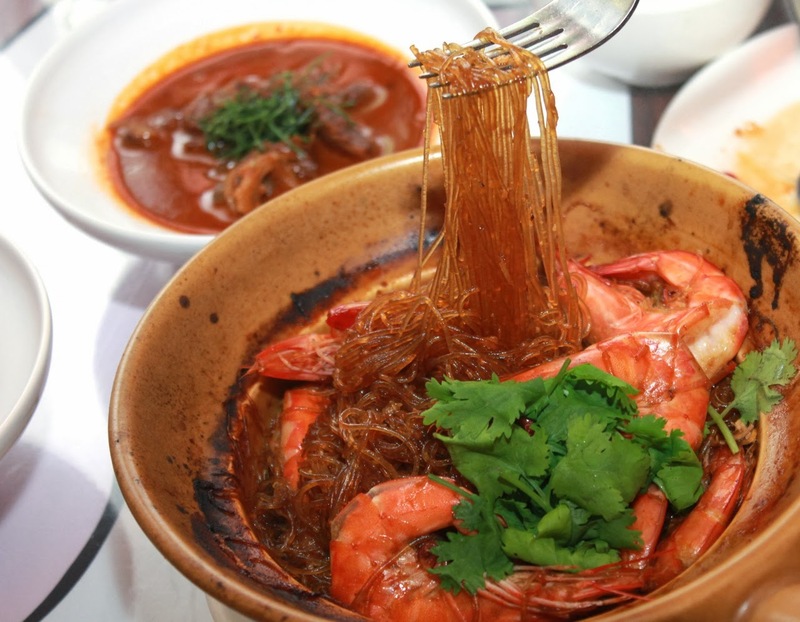 Equally rib-sticking, baked prawns (goon gob woon sen, S$16.80 for small, S$24.80 for large) arrive in a claypot lounging in a mound of stir-fried bean vermicelli infused with the savoury chicken stock that it’s cooked in. 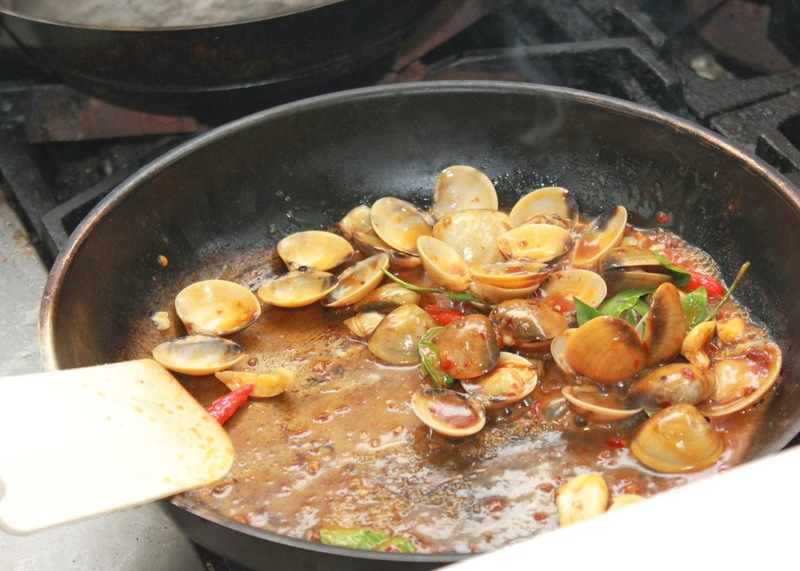 Or try the clams (hoay pad prik pao, S$14.80 for small, S$22.80 for large) flambéed in chilli paste and chicken stock. It’s not as succulent as we’d hoped but its rich fiery flavours made up for the shortfall. Seedy neighbourhood aside, the competent Thai fare at tze char prices makes Rochor Thai a decent find for a fuss-free meal. Even if you’re not ready to take-on a full-course Thai dinner, the wok-fried pad Thai (S$7.80 for small, S$14.80 for large) is a good place to start.